"Nobody's perfect" isn't just an oft-repeated cliché or a 2007 song by Miley Cyrus as her television persona Hannah Montana. It's also a truism that applies to Marvel Studios, the company Game of Thrones actor Kit Harington recently called out over something quite important. When Harington spoke with Variety during the Toronto International Film Festival, which runs from September 6 to September 16, he addressed LGBTQ+ representation in film — particularly in Marvel movies. He wondered why an openly queer actor hasn't had the chance to play a superhero in the Marvel Cinematic Universe as of yet, and touched on why an actor's sexuality actually should be considered when casting them in certain roles. Before anyone starts sharpening the prongs on their pitchforks (because, you know, everyone totally has those lying around their house in the year 2018) to strike back at Harington for railing against Marvel, it's important to realize that he isn't alone in his condemnation of the studio. Plenty of A-list actors have criticized the Marvel Cinematic Universe over the years. Shaun of the Dead star Simon Pegg once argued that the movie-watching masses have been "infantilized by our own taste," and that superhero movies have knocked society's overall intelligence level down a few notches. "Now we're essentially all consuming very childish things — comic books, superheroes. Adults are watching this stuff, and taking it seriously! It is a kind of dumbing down in a way, because it's taking our focus away from real-world issues," Pegg shared with The Telegraph in 2015. "Films used to be about challenging, emotional journeys or moral questions that might make you walk away and re-evaluate how you felt about… whatever. Now we're walking out of the cinema really not thinking about anything, other than the fact that the Hulk had a fight with a robot." Earlier this year, Jodie Foster argued that superhero movies are "ruining the viewing habits of the American population and ultimately the rest of the world," getting dramatic in comparing major film studios like Marvel and DC making "bad content" to fracking. "You get the best return right now but you wreck the earth," said Foster. And the censures don't stop there: Mel Gibson once described MCU installments as "violence without conscience," George Takei previously accused Marvel of whitewashing after the studio cast Tilda Swinton as a canonically Asian character in Doctor Strange, and Bill Maher contended in May of 2017 that superhero films of the Marvel variety have fostered "this mindset that we are not masters of our own destiny and the best we can do is sit back and wait for Star-Lord and a … raccoon to sweep in and save our sorry a**es." That considered, it would be silly if anyone genuinely had a bone to pick with Harington over having a bone to pick with Marvel, as so many others have found fault with the studio and the various decisions its made up until now. And it isn't like Harington is wrong about there being a distinct absence of LGBTQ+ characters in the MCU. Sure, the Marvel Comics canon features numerous non-straight heroes, but the MCU has yet to include a single one of them and has a ghastly track record of erasing queer characters from films' stories altogether. The good news regarding Marvel and its current lack of queer representation is that studio president Kevin Feige has promised that things will get brighter and more diverse soon, as the MCU will introduce at least two LGBTQ+ characters in upcoming movies. One character, as Feige explained to The Playlist, will be a hero fans have met in a previous movie; the other will be a brand-new character not yet seen on the silver screen. Popular belief is that the already-seen character is Tessa Thompson's Valkyrie, who was set to be portrayed as bisexual in Thor: Ragnarok. (The scene that would have confirmed her sexuality was ultimately cut from the theatrical version of the Taika Waititi-directed film.) The jury is still out on who the second LGBTQ+ Marvel hero will be, although Brie Larson's Carol Danvers might be a contender, as she'll make her MCU debut in Captain Marvel in March. 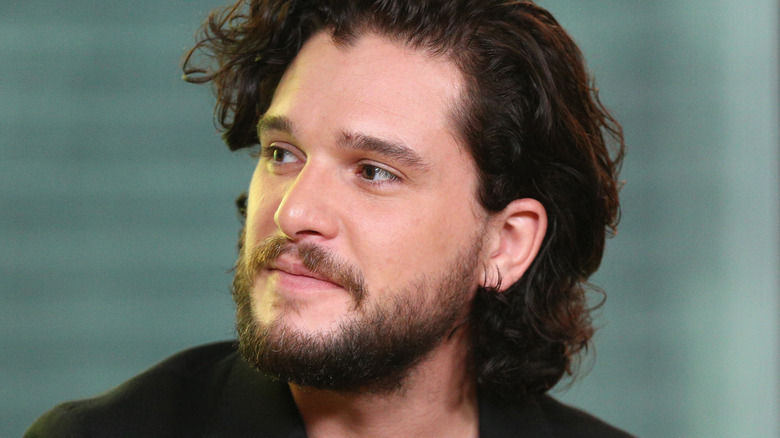 If the universe aligns in the ironic way it tends to, Marvel might formally present the first of its LGBTQ+ characters around the same time Harington takes his final bow as Jon Snow on the eighth season of Game of Thrones: sometime in 2019.